The Midwestern state of Iowa sits nestled between the Mississippi, Missouri and Big Sioux Rivers. Iowa’s landscape consists of rolling hills dotted by scenic lakes and river valleys slicing through the silty plains. Iowa’s upland areas consist of prairie land while the floodplains along the rivers are home to thick forests and wetlands. The state has a very diverse climate with cold winters and hot, humid summers. This diversity makes it a great place for a wide variety of outdoor sports and activities. Iowa offers excellent cross-country skiing and eagle watching during the winter and picturesque trails to hike and waterways to explore by kayak in the warmer months. Beautiful and historic places of worship- Take a tour or spend time in prayer and meditation at one of Iowa’s impressive cathedrals such as Cathedral Church of St. Paul, The Little Brown Church in the Vale, and St Luke’s. West Bend Grotto– This beautiful shrine was built by a priest from stockpiled rocks and precious stones and stands as a memorial of gratitude and love. Living History Farms– This working farm and open-air museum offers guest an opportunity to explore life during many time periods of history. St. Donatus– This little town is known as Iowa’s version of Luxembourg. The historic village is home to a beautiful church and cemetery and many other Old-World structures. 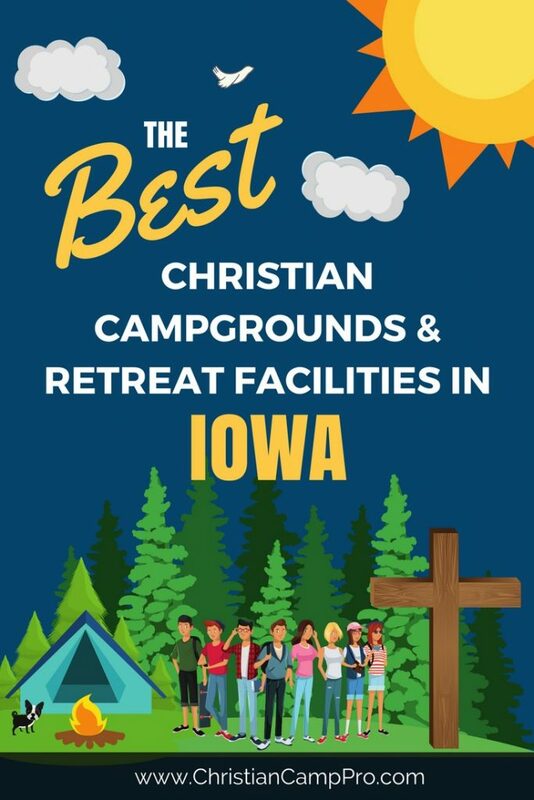 Iowa’s location, landscape and rich history make it a great place to host youth camps and adult retreats. There are outdoor activities a-plenty and for all seasons. There are also numerous historic sites to see and natural wonders at which to marvel.